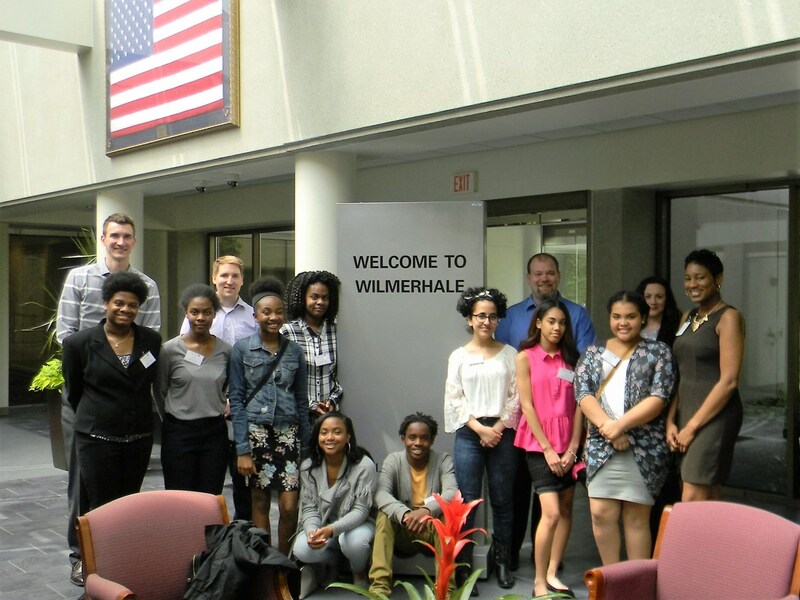 On April 25, 2017 WilmerHale's Dayton office welcomed eight motivated students from the Dayton Early College Academy for a day to job shadow! 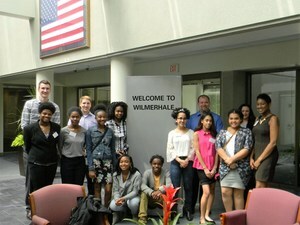 On April 25, 2017 WilmerHale's Dayton office welcomed eight motivated students from the Dayton Early College Academy for a day, to job shadow, and learn more about business, network with professionals, and spend the day exploring and shadowing legal and nonlegal careers; including finance, human resources, information services and technology, practice management, new business/conflicts, and discovery solutions. The job shadow is a part of the new two-year philanthropic partnership between the firm and DECA. Through the partnership, DECA will receive $25,000 annually for two years, as well as in-kind and volunteer support during DECA events and activities throughout the year, including mock trial practices and individual reading and editing assistance for all grades levels.